When you need to find a Cooper City Injury Attorney, call the Law Offices of Robert E. Gluck, P.A. 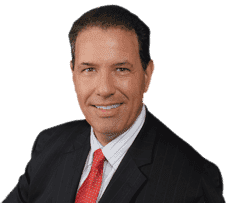 Whether you were injured in an auto accident, fell on someone's property, or were injured due to a defective product, you may be entitled to compensation and Robert Gluck will use his experience practicing law since 1989 to get that compensation for you. A Cooper City Injury Attorney like Robert Gluck is completely committed to his client's needs. He will make you his top priority while he is working on your case and give you the legal advice and personal attention you need. He will not stop fighting for you until you receive the compensation you deserve for your injuries and medical treatment. Negligence is the legal standard one must follow to avoid injury to others and if someone falls below that standard, they may be financially responsible for your injuries. Cooper City Injury Attorney Robert Gluck will gather all the evidence necessary after launching a full investigation in order to prove negligence existed and caused your accident. Your Cooper City Injury Attorney Robert Gluck's investigation will include getting statements from witnesses, taking photos of the accident scene, securing video surveillance, and obtaining any other evidence necessary to the case. He will handle every step of your case so you can focus solely on yourself and move forward with your life as quickly as possible.